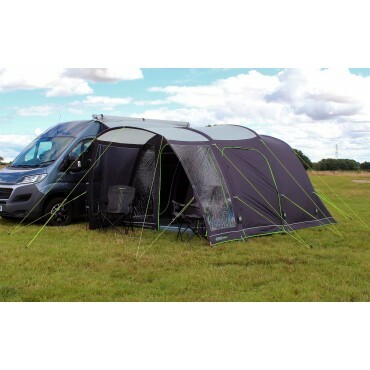 Utilising Weathershield® 300D material, the Motor Rally AIR Pro has excellent weatherproofing and long life but is still light enough for easy set up and handling. 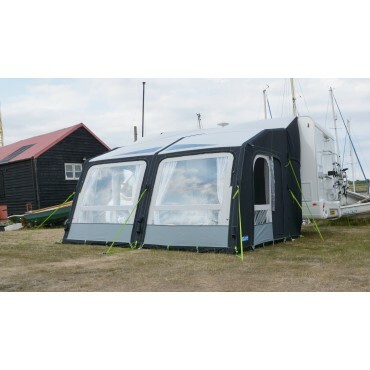 The front panels roll to the side or can be used veranda style. 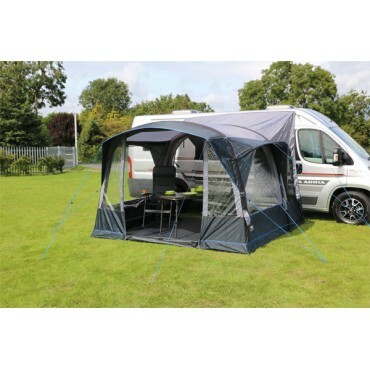 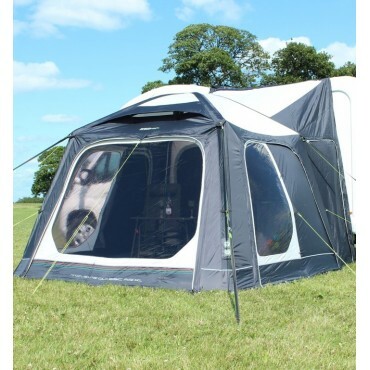 Additional ventilation is fitted to the apex of the awning to help with condensation and an optional roof liner can be fitted to the awning, creating an air pocket that helps regulate the temperature by keeping it warmer when it is cooler and cooler when it is warmer. As well as an optional roof lining, many other accessories are available including the Kampa Hanging Rail and Organiser that fit onto the Kampa AccessoryTrack®. A steep front allows for class leading headroom, this is also complimented by a front wall panel arrangement that allows the two outer front panels to be rolled to the side or the top part of each outer panel to be dropped down to create a veranda style. 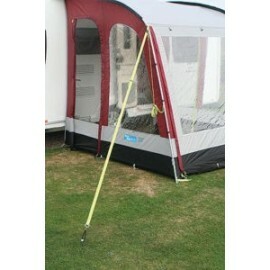 This veranda feature is great for allowing fresh air in whilst keeping children or pets safely inside. 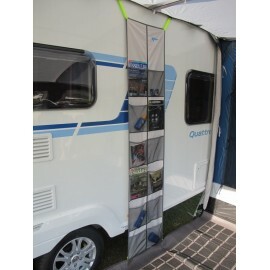 Doors can be found on each side of the awning and feature a No-see-um mesh panel which helps keep out even the smallest of bugs whilst still allowing for added ventilation on hot days. 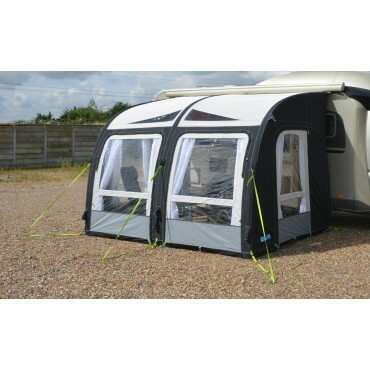 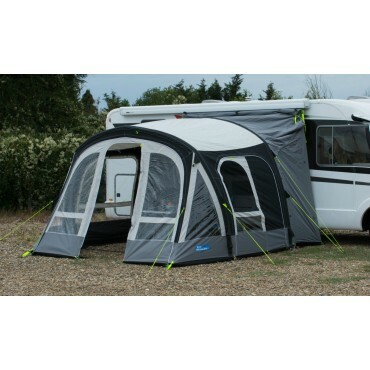 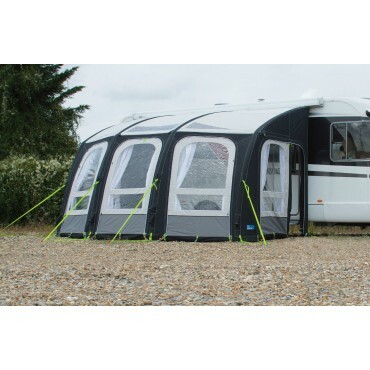 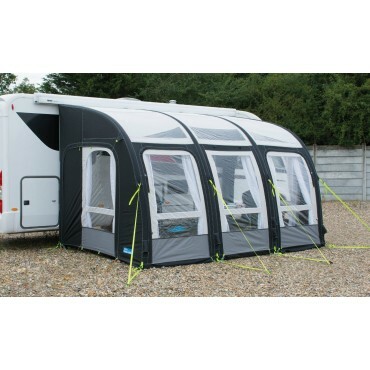 A unique feature to the Kampa range, the AccessoryTrack® adds an extra line of beading running on the inside, parallel with the awning beading that connects the awning to the caravan. 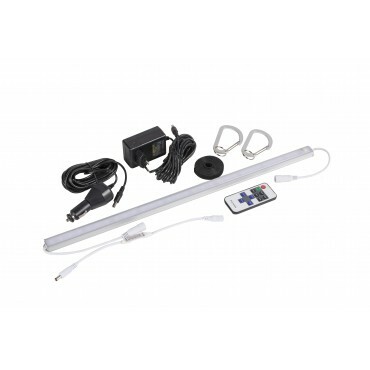 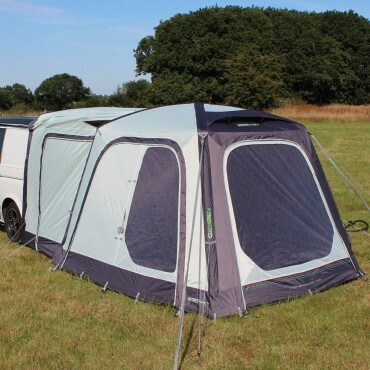 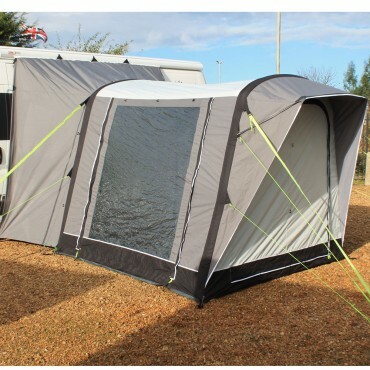 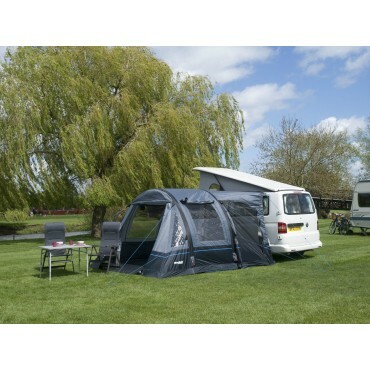 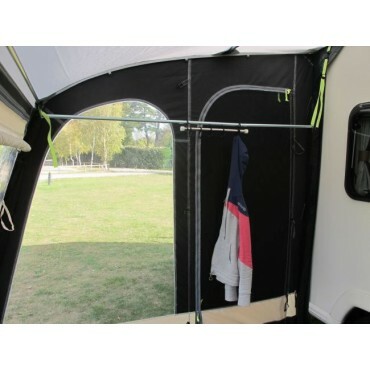 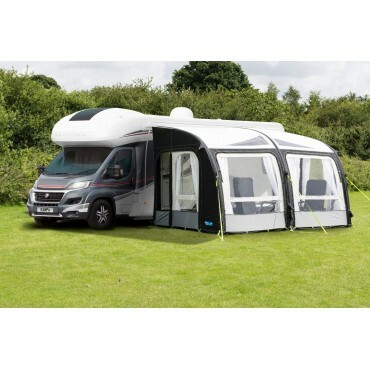 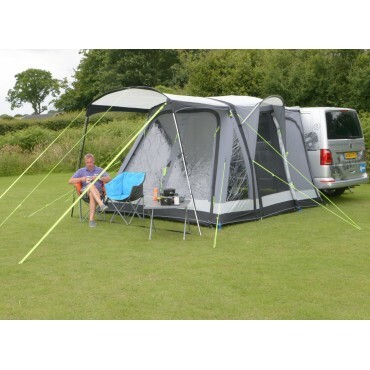 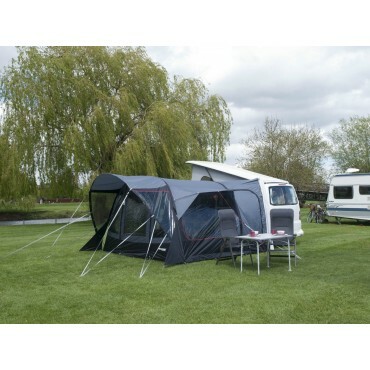 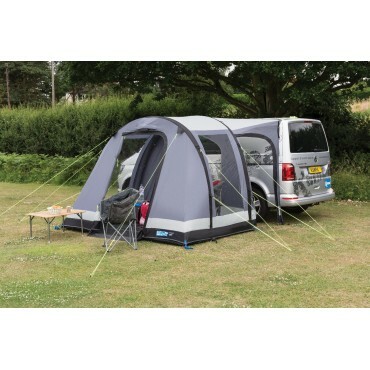 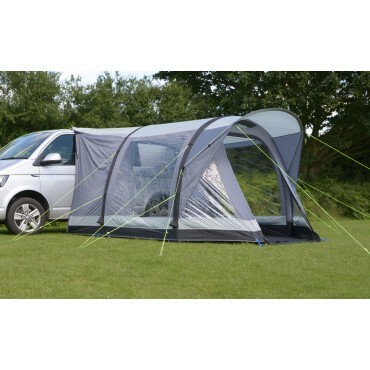 This allows for accessories, such as an organiser and hanging rail, to be attached to the awning through the use of a specially designed connection by Kampa.